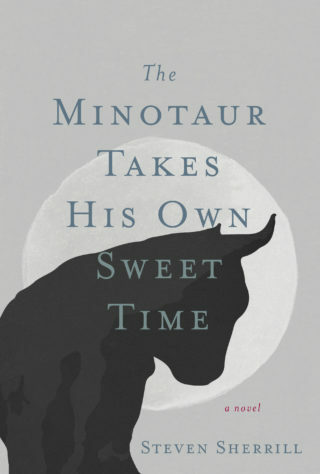 In The Minotaur Takes His Own Sweet Time, the Minotaur has moved north, from a life of kitchens and trailer parks to that of Civil War re-enactors at a run-down livinghistory village in the Rust Belt of central Pennsylvania. Though he dies now, in uniform, on a regular basis, his daily struggles remain unchanged. Isolation. Loneliness. Other-ness. Cared for by the Guptas, the immigrant family that runs the motel where he lives, and tolerated by his coworkers at Old Scald Village, M wants only to find love and understanding. The serendipitous arrival of Holly and her damaged brother, waylaid on their own journey of loss, stirs hope in the Minotaur. As their paths overlap, readers will find themselves rooting for the old half-man, half-bull as he stumbles toward a real live human relationship. Steven: Leí tu libro El minotauro sale a fumar un cigarrillo, que tradujo al castellano Albert Borrás Malo, y me partió la cabeza. Cuándo llega a la Argentina la traducción del nuevo libro? Hay alguien trabajando en eso? También me gusta tu pintura y ahora estoy descubriendo tu música, que no precisan traducción. Saludo fraternal desde Buenos Aires, Carlos. Rereading this excellent book, just found out there is a sequel. Good news and nice website btw.